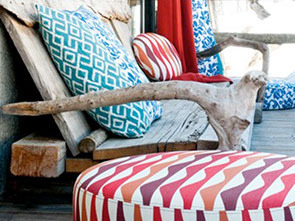 transforming outdoor living spaces as well as the lives of people who inhabit them. 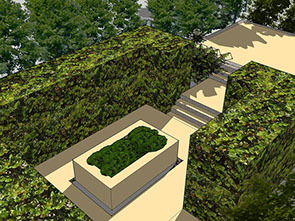 Dan Rutherford offers a full-service garden design consultancy to clients seeking an outside space which is both beautiful and functional. 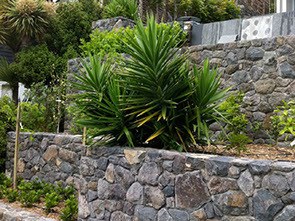 From small courtyards and outdoor rooms to full-scale rural landscaping, He offers a range of services including the development of the garden design concept, construction, management, planting and garden styling. 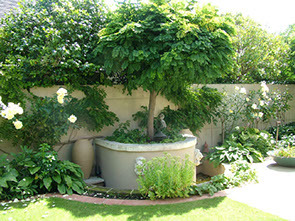 In Business for 22 years he is recognised for strong, clean lines, lush planting, and elegant styling and use of colour. 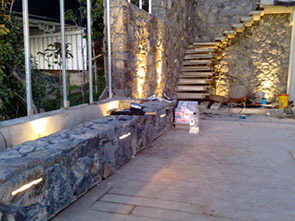 Dan also specialises in discreet but effective garden lighting and bespoke water features. 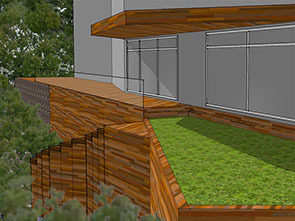 palette of the client’s home so that there is a strong visual relationship between the inside and outside spaces”. 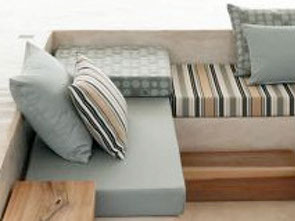 He regularly works closely with architects and interior designers. 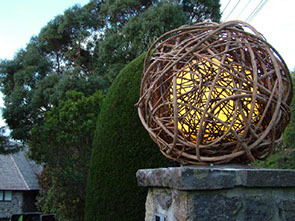 Supreme Lighting at Ellerslie International Garden Show. But to Dan, gardens are all about enjoying being outdoors with family and friends. 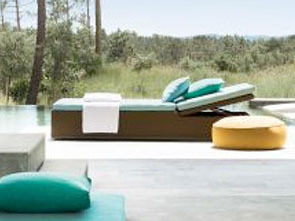 Start enjoying your outdoor living area, with a design you can be proud of. 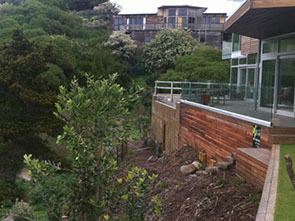 Dan will help you visualise and create the best landscape design possible, so you can get on with the things you enjoy. Below are just a few of the gardens Dan has created. Dan’s designs focus on creating a link between inside and out, creating beautiful spaces to entertain in and enjoy with your family. 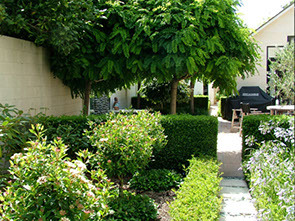 The right garden design can transform a house in to a home and add considerable value to your property. Consider some of the services we offer and what might be right for you. Require the same forethought as any other room in your house. 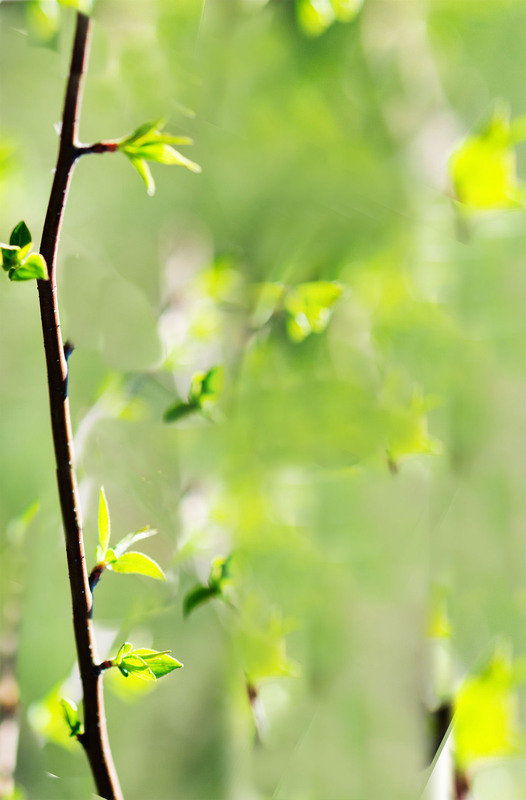 Your garden space is an asset – so whether you are overhauling from scratch, or just making some modifications planning carefully is really important . 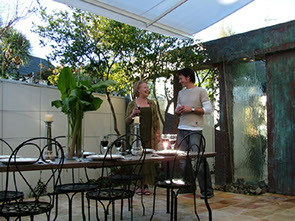 A well-designed outdoor room has the potential to add value to your property and to enhance your lifestyle. 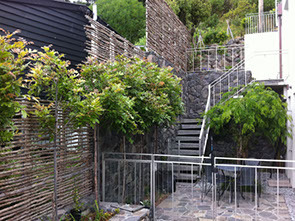 accentuate a real relationship between interior and exterior schemes that enhance the buildings our gardens surroundings. Dan’s aim is to reflect as closely as possible the styling, decoration and colour palette of a clients home so there is a strong visual link between inside and outside spaces. Can be transformed with lush planting and elegant styling to make your home a private resort you and your family can enjoy year round. Or Dan can design a new pool / spa area especially for you and your children. 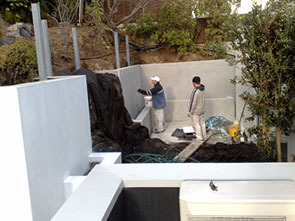 Having a landscape designer rather than a pool company design this will ensure the pool really works in the property and will correspond well with your other outdoor living areas, maximising your investment. 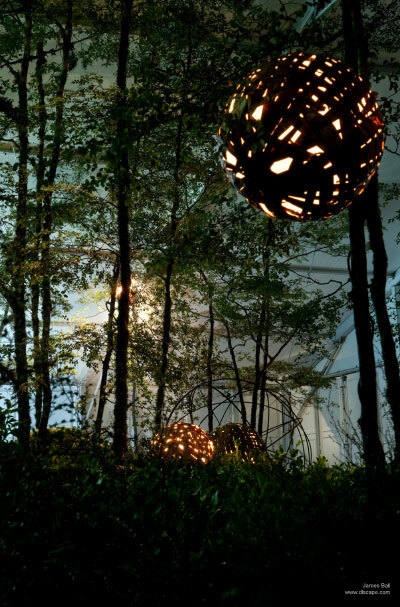 Add atmosphere and beauty to the garden. 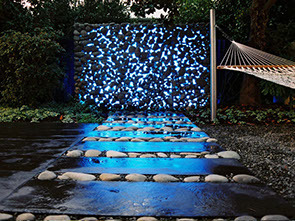 Light has a magic to it and allows you to maximise the time you spend entertaining and just enjoying your garden. 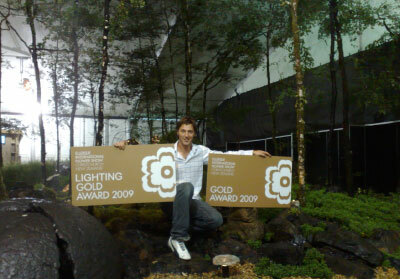 Dan has won numerous lighting awards and can integrate a lighting plan into your garden design. 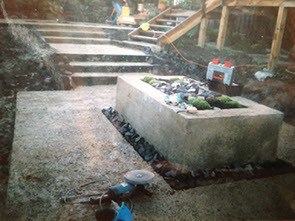 Bespoke water features can transform a small uninteresting courtyard in to a real “wow” area. 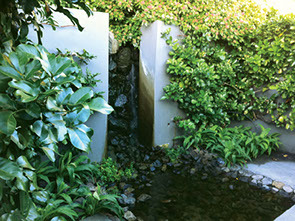 Does your garden landscape require a sculptural accent? 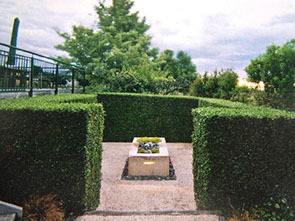 You may have a piece of open ground crying out for a piece of art, have a desire to imprint an element of your personality or personal passion onto a space, or simply see something you fall in love with, all are completely relevant reasons for adding a sculptural element into your garden, and Dan is always happy to help and advise. 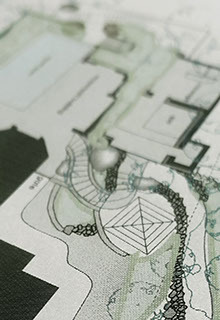 Through our network of contacts with creatives, craftsmen and artists, we can advise on style, materials and context, and produce artist’s impressions to enable you to visualise how a piece, be it commissioned or otherwise, might look in your garden before you make the financial investment. Your outdoor spaces should be as much a reflection of your home’s style as your interior, so we pay particular attention to the stylistic touches that turn a garden into an outdoor room. 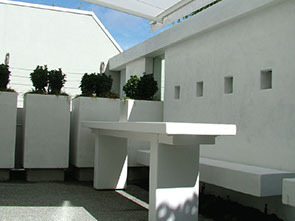 Our designs can include finishing touches such as sculpture, furnishings, planters and lanterns. These garden furnishings are often specified at design sketch stage, as the dimensions of furniture, planters, or an outdoor kitchen or barbecue can be key in considering your garden's proportions and final layout. 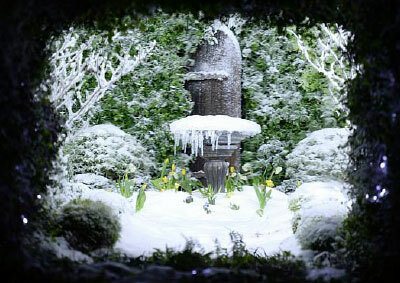 We can also restyle your garden for a special occasion such as a family wedding. 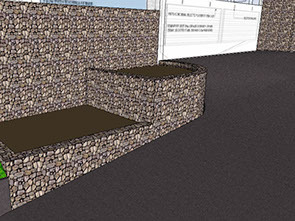 This is the first stage, and involves Dan calling around for a couple of hours and talking through some creative ideas about what you could do with your outdoor spaces. 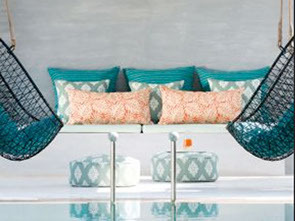 on years of knowledge and experience designing outdoor living spaces. Let me know if you like the ideas presented in a particular way. A list of plants for your garden, along with a plan to show where I recommend they go. 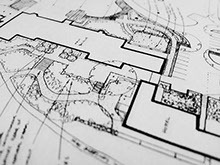 Depending on the complexity of your garden, drawings and sketch plans are often enough for you to work through a garden plan yourself. 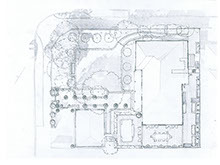 Detailed plans and consentable drawings that builders and landscape designers can work from. 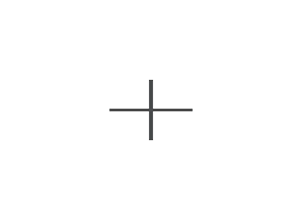 A 3D fly-though plan can also be generated at this stage. 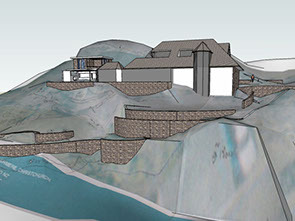 A 3D fly-through can add a lot to a set of plans. 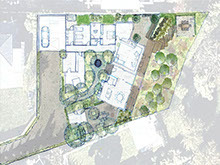 It’s a great way to plan your garden with me before we build it, allowing you to imagine yourself in it. It’s almost always a great way to ensure your money is spent wisely too! This would be charged at my hourly rate. Dan and his team pride themselves on their high level of technical know-how, working together with you to achieve your dream garden at a competitive price. 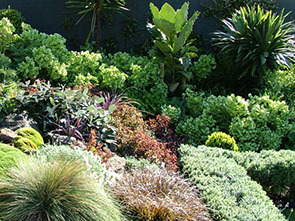 When you choose Dan Rutherford to build your garden, you get expertise and quality. 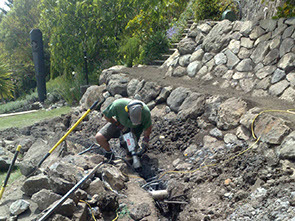 Dan has his own landscape construction team, who are experts in building gardens of any shape and size and can take care of all aspects of the garden construction. If however you have a builder or construction team you prefer to use, Dan can work with or manage your team and the project for you. Despite a large number of clients living in Scarborough Sumner, one of the worst hit areas in Christchurch. He brings extensive knowledge in retaining land to the table, this coupled with his design ability its a unique skill base. 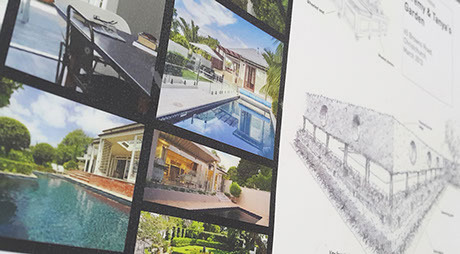 Allowing clients to consider more attractive, cost-effective and practical land retaining options when considering outdoor rooms, pools and garden design. 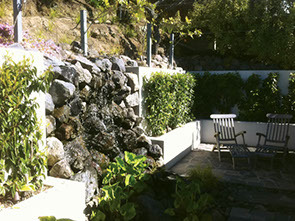 Christchurch landscaper, Dan Rutherford, has spent most of his professional career designing gardens for clients in the Port Hills. Geotechnics are his strength, something that served him well in the aftermath of the quakes. 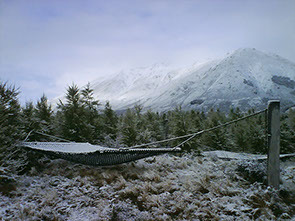 Dan grew up on Gola Peaks Station, a remote North Canterbury farm in the Hurunui District, owned by his parents, John and Gay. Gay had a large garden. Dan says it kept her sane in the isolation, particularly in the middle of winter, when the phone lines were down, the power was out and there was no way out up or down the road. In Dan’s teenage years, the Rutherfords teamed up with three other local families all looking to diversify their farm income, forming a company called Country Gardens. Busloads of tourists from around the world would visit the Zinos, the Dunsters and Alistair Neil, typically lunching at Gola Peaks. Gay encouraged all of the family to work on the garden with her, and Dan spent many weekends making pergolas and ponds, steps and paths. He was off to boarding school in Christchurch from age ten, but holidays were always spent working back on the farm. He loved the way that life forged really close relationships with his parents and siblings. Dan began university with an engineering degree in mind but soon found that lacked the creativity he needed in his life. It was all about regimented processes. He switched to geology. “I moved from engineering into geology half way through my degree. I was starting to do a bit of geology in the engineering papers, and that just grabbed me. It made me feel really small. 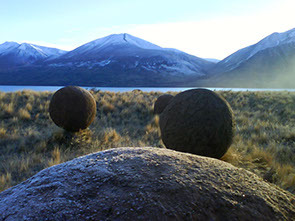 NZ is such a dynamic country geologically – we’re well aware of that in Christchurch – and if you just drive into the landscape you can see it all happening. 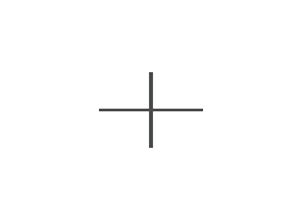 It’s right there. Dan says university taught him how to learn and continuing to learn has been important to him ever since. Much of his landscaping knowledge has come from the huge library of gardening books he has amassed over the years. 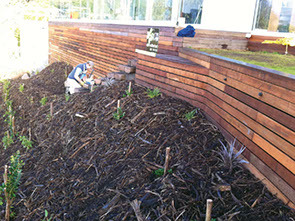 Dan has tutored in the landscape architecture degree course at Lincoln University, enjoying giving something back to a career that has given him so much satisfaction. 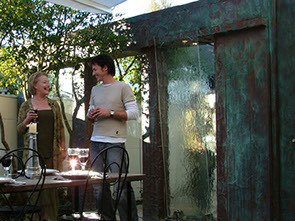 He has also had various presenting roles on NZ television, beginning with Maggies Garden Show. “Maggie Barry’s producer had seen some of my work in a magazine so Maggie came down to interview me. Then the director recommended me as a presenter for other shows.” Being interviewed on Maggies Garden Show led to further programmes like Ground Rules and The Road to Ellerslie. He says he found live TV like that a lot of fun. 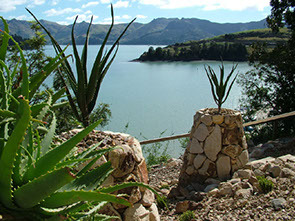 Dan, his wife and children live in Cashmere, up on the Port Hills, in a house which is over 100 years old. He had maintained its garden ever since he was about 15 and still at boarding school. When the lady who owned it passed away, Dan ended up buying the property. “I love that sort of continuity; we’ll hopefully live here forever. We’ve got about an acre. It’s wild, jungly sort of country and it’s good. With the kids growing up it’s a slightly rural feel.” The earthquakes had minimal impact. Dan laughs that the house was pretty wonky to start with – it just gave them an excuse to renovate. His landscape business was rather more adversely affected. 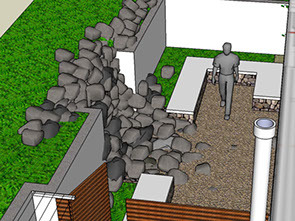 Because of his geology training, he had specialised in landscaping tricky hillside sites, using his geotechnical expertise to tackle jobs other landscapers would have found daunting. Pre quakes, he says he had a few jobs lined up on the tops of cliffs – unsurprisingly, those clients suddenly felt they had other priorities. “‘Actually we don’t need the job done right now. Either our house has been destroyed and we’ll just walk away, or we’re just going to fix up our house, or we’ve moved out of town because’... they had a shocking time.” In some cases, the land Dan had been about to work on had slipped away entirely. So he thought he’d offer his services to past clients, suspecting their gardens would’ve sustained considerable damage and be in need of repair. To his surprise he found each and every one of them was still intact. He was the victim of his own careful design. Dan discovered that in some cases, engineered walls right beside his work had failed, though he concedes engineering processes in recent years have improved somewhat. “So it hit me that I had no work coming up. It was a really stressful time, wondering what the hell I was going to do.” Fortunately he had his geotechnical expertise to offer and was able to contract himself. He spent time working at two companies, Tonkin and Taylor, and Geoscience Consulting. Dan found the work very rewarding. After the quakes people in Canterbury desperately needed the geotechnical work done. He felt it was his time to, as he puts it, stop fluffing round with the aesthetic and just get on with helping people to get rebuilding. It also gave him the opportunity to refresh his knowledge of the rapidly changing geotechnical industry standards and establish useful contacts with those professionals. One of these projects is the Singapore Garden Festival, a biennial event, scheduled for August this year. 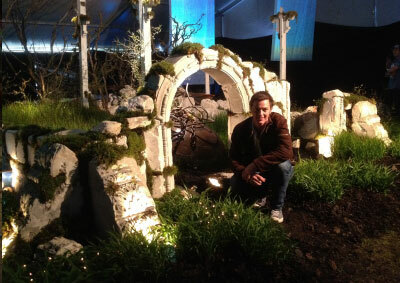 Dan is co-designing a garden with Kate Hillier, GM of the Ellerslie International Flower Show. The pair has had an exploratory trip to Malaysia and Singapore to look at what is on offer at local nurseries and meet the contractor assigned to them by the Singapore Government who will be responsible for most of the construction work. They’ll be on site just a couple of weeks. Back home, Dan has loved being part of the Ellerslie Flower Show and is concerned that if Christchurch loses the event, it will be very hard to stage something of that calibre again. 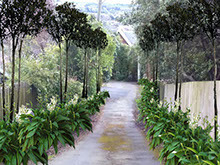 However, he recognises the city is under huge financial pressure with the rebuild and understands that landscaping is well down the list of priorities. The opportunities presented by shows like Ellerslie, and, for Dan this year, Singapore, are perhaps hard to quantify for the wider population, but they offer an exhibitor the chance to challenge themselves and explore the limits of their creativity. 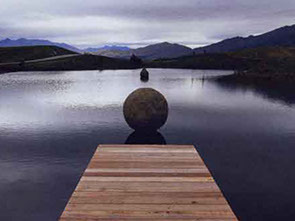 Complementing his landscape design work, Dan has a passion for sculpture, and he has exhibited at events like Sculpture OnShore in Auckland, and Sculpture in Central Otago, in Wanaka. Since the quakes, most of his work locally has been on commission. 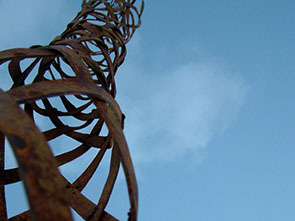 Some of Dan’s sculpture finds its way into his landscape designs. He enjoys helping clients install sculpture, whether it’s working with them to create a context for a piece they may already own, or developing a space and helping them find a sculpture that reflects who they are. 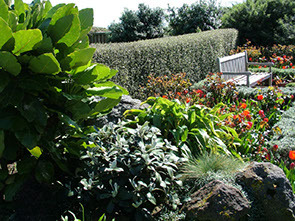 More and more, Dan says he finds himself designing gardens for his clients by thinking of them not only as living spaces, but also as aesthetic spaces that relate to other living spaces. 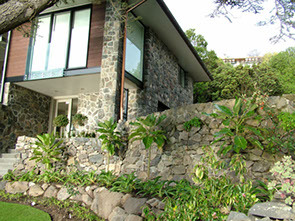 Looking out through doorways and windows essentially frames the garden and the landscape design evolves from there. 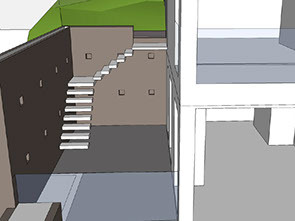 If done right, Dan believes the end result should look like three dimensional pictures on the wall. 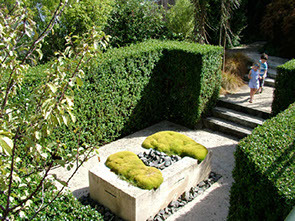 It’s also a way of making the most of any garden sculpture, effectively drawing it in from the garden to the interior. 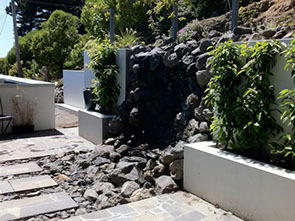 Dan isn’t aware of any major shortfalls of plant material in Christchurch at this time, but admits he is really only just getting back into landscaping full swing, a reflection of the residential focus of his practice. “I don’t know yet! I’ll be able to answer that in about a year’s time. I’ve been doing planning – a lot of design work, planning things out, getting things organised - and we’re only just starting to get into construction. I haven’t done a lot of planting yet.” With many of his projects being on the Hills, planting is often quite a minor part of the project, but Dan says it’s the part that has the greatest impact. Dan continues to find most satisfaction from residential work and gets his motivation from connecting clients to their living spaces. 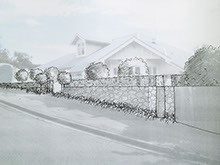 Ellerslie is a no show for 2015, but one of its award winning exhibitors - garden designer Dan Rutherford - remains optimistic about what can be achieved in Christchurch, the Garden City. From his hillside property in Cashmere, he shares a passion for well-designed landscapes that enhance how people live and strengthen their links with the land. Over coffee, Dan Rutherford is cheerfully explaining how to deal with an ivy problem. It has gone rampant in my garden but he assures me it could soon all be sorted with the right spray and wrapping bunches of the stuff in plastic supermarket bags. It is refreshingly reassuring to learn he once had an ivy invasion of his own. It got so bad a tree came crashing down one day under the weight of creeping vines. The ivy was never going to win under his watch though and has long since been eradicated. Canterbury back in the early 1990s. 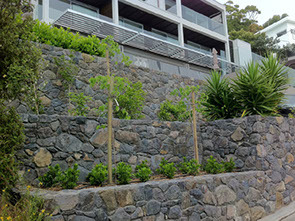 Over the past 20 years since starting his garden and landscape design business he’s done many ‘a hill job’. Projects ranging from grandiose to modest have come his way over the years, but Dan is currently getting his biggest kick out of working for clients with young families. “It is going back to basics: the budgets are not massive but people want good living spaces around their homes.” Often there is an element of garden education thrown in. He is a talkative, easy to like kind of guy, qualities that made him a natural for television programmes such as Maggie’s Garden Show and Ground Rules. 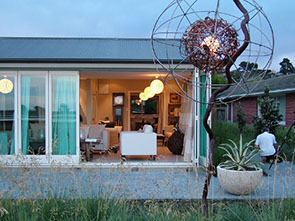 Back in 2009, he also fronted the TV show Road to Ellerslie in the lead-up to the inaugural flower show in Christchurch, where he was also an exhibitor for Solid Energy, (with a garden re-creating a slice of the West Coast; it won a gold medal and a supreme lighting award). 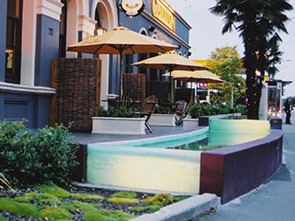 Not only has he regularly exhibited at Ellerslie, he also devoted a lot of time and energy to mentoring young up-and-coming designers. 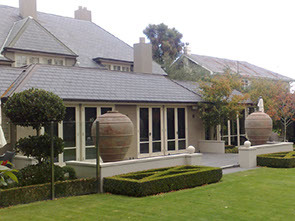 He sees the city council’s decision in June to can Ellerslie as “a real loss” for Christchurch. However, rather than dwell on the decision, he has been busy of late preparing for the 2014 Singapore Garden Festival, held last month. People who have attended the Ellerslie International Flower Show over the years will know of Dan’s inexhaustible energy and creative talent as an exhibitor. 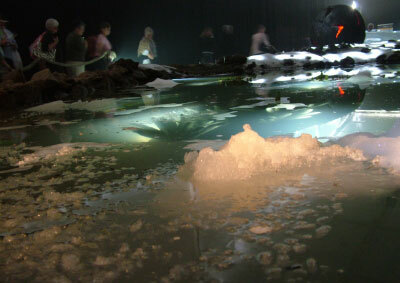 In 2010 he produced a two-metre high iceberg and an ocean of plants for ‘An Icy Oasis’, modeled on the Antarctic landscape. 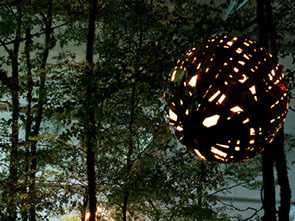 An exhibition garden many will also remember is his 2012 gold medal winning entry ‘Fresh Start – New Growth’ reflecting on the earthquakes and featuring time lapse video filmed from the deck of his home. ‘The Sleeping Garden’, an outdoor living space complete with a child’s bedroom in a tree, was his bronze-medal entry at this year’s show. The council has pledged to consider reinstating some kind of flower show in 2016 and Dan takes heart from this. He accepts the financial reasons why it could not support the show in 2015. In the meantime, Dan will continue to make his mark through his garden design business. 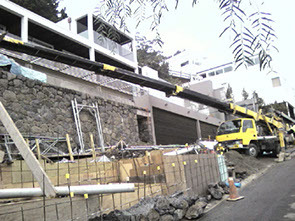 In the pipeline are contracts to install swimming pools and some tricky hillside projects. He runs the business from his home and hillside garden in Cashmere, some tangled pockets of which are still so wild that no-one ever walks through them. 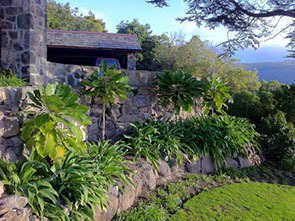 The top rate designer is happy to let nature have its way on parts of this 4000sqm property he shares with his wife Alex, a graphic artist and painter, and their two children, Sam, 12 and Sophia, 10. At heart, he is a country boy who enjoys the challenge of rugged slopes. He grew up at Gola Peaks, a high country farm in North Canterbury, where he spent time out of school roaming hilltops, learning to work with stock and helping his mother, Gay, in the garden. “I loved hanging out with my family, getting physically fit, being out on the farm on windy, stormy days…Mum used to have bus tours coming in from all over the world. 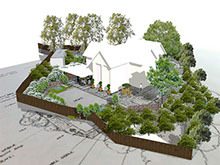 They’d wind their way up our shingle road to see the hillside garden she had made. I remember spending weekends out in the garden. If we wanted to build something there, we’d go ahead and do it. She infected me with her passion for it. In partnership with Dan’s older brother Mark, Dan’s father, John, continued to farm at Gola Peaks until his death last year. Mark and his wife Sue now run the farm. “We still go up there to visit and give the kids the experience of life there.” They belong to one of Canterbury’s notable pastoral farming families – the Rutherfords - descended from George Rutherford who settled at Leslie Hills in North Canterbury in 1860. Dan, who attended the family’s 150 year reunion at Leslie Hills in 2010, grew up surrounded by extended family with uncles also farming in the area. A touch of the back country can be felt at the Rutherford’s suburban property, where the kids still build huts and camp out under the stars. A friendship was forged over the following decade. Dan was poised to pursue an international career in geotechnology when Joan died. He didn’t inherit the house but was given the opportunity to buy it. He launched the gardening business as a way to pay the mortgage. Fortunately, Joan had left Dan most of her gardening books and these proved invaluable. More than 20 years later, the garden remains relatively unchanged. 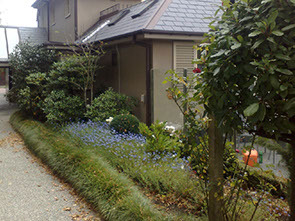 A driveway has been added, along with a big lawn area beside it. Dan’s sculpture is strategically placed to please the eye. Internal renovations have opened up the home’s interior and modern comforts have been added that did not exist in Joan’s day. Dan shares the love Joan had for big old trees but a few have been carefully cleared from around the 110-year-old homestead to allow a beautiful view of the city, its recent upheavals masked by distance and the sparkling benevolence of sunshine from a fresh morning sky. © 2016 Copyright by Dan Rutherford. All Rights Reserved.